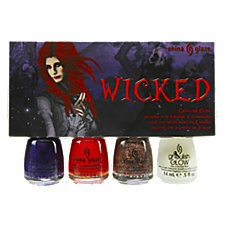 Both Roguish Red and Glitter Goblin are from China Glaze's Wicked Collection for Halloween 2012. 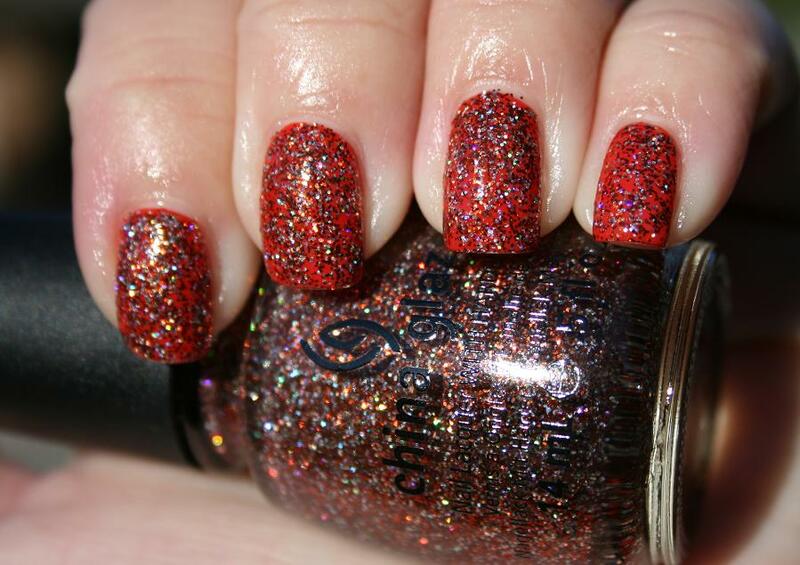 I thought that Glitter Goblin would look great over Roguish Red, and it did! Note that it's a very hungry glitter- I did two coats of Gelous to help smooth it out. I tried quite hard, but wasn't able to capture fully the holo glitter. It is so pretty and glows when the light hits it just right.